I am considering a career in farming. How can I find farm work on a WNC organic farm? I support your interest in exploring farming by working on a successful farm. I interned on a farm near Boone in the mid-80s and learned a great deal—both practices that I wanted to imitate and others that were not for me. In my opinion, one of the best ways to learn is by doing. Now is a good time to be looking. The best opportunities are often gone early in the year. In looking for a farm, geography and climate are important, particularly with organic growing. In WNC we have pests and disease that are rare on the coast, for example. If you know where you want to set up your farm, I suggest finding work in a similar location. I also suggest finding a farm with a crop mix similar to the one that you imagine growing. Scanning the websites of the farms listed below is one way to generate crop ideas and to find out which farms in your area are growing similar crops. Ask around about the farms that you are considering. 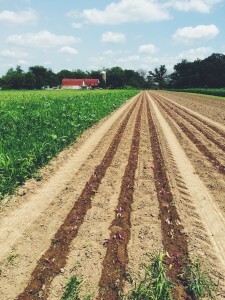 Intern assignments vary from farm to farm. The work of the farm must be done but some farmers are better teachers than others. The farms in the list below have joined the Organic Growers School CRAFT program (Collaborative Regional Alliance for Farmer Training), which suggests that they care about educating the next generation of farmers. Also consider a farm visit, buying their products, and talking to other farmers and farm workers. If you decide to work on a farm, consider making that hands-on experience part of a larger plan. Organic Growers School offers a range of training opportunities. Farm Dreams is a day-long class for folks interested in exploring the idea of farming and if farming is a good fit for them. CRAFT is an association of organic farmers and farm workers that meet monthly throughout the season for farm tours and pot lucks. CRAFT is a great way to see a variety of farms and to talk with other farm workers about their experiences. Farm Beginnings is a year- long class for workers or growers with several years of experience who are operating a new farm or about to open a farm business. OGS Spring and Fall conferences plus individual workshops may also fit in your agricultural education plan. 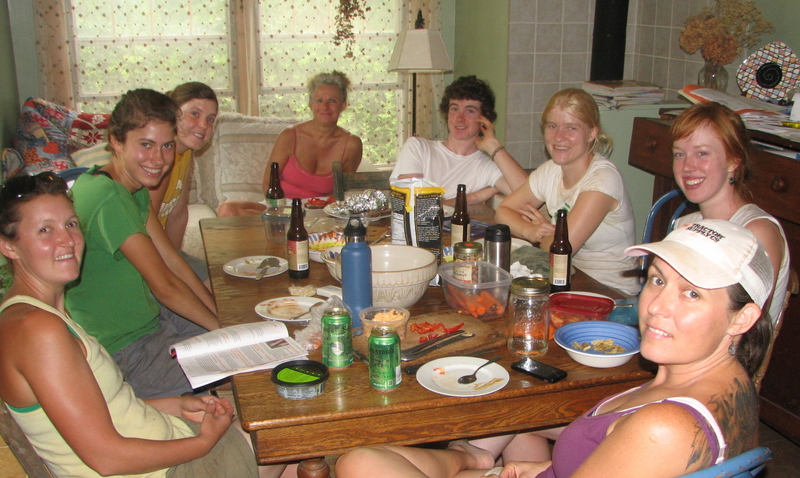 The Thatchmore Farm Crew relaxing after a hard day of work! While I know many of these farmers and enthusiastically recommend the ones that I know, OGS has not inspected any of these farms, their housing situations, teaching methods, etc. Be sure you are excited about the farm on which you will be working and that all your questions are answered before you commit. The future is bright for organic farming as a career. Good luck with your search! There are a couple things I think might be good to add to Tom’s advice. First, I think it’s very good advice for aspiring farmers to gain experience in similar locations on farms growing similar crops to what they want to grow themselves. However, I think a lot of aspiring farmers haven’t yet really figured out what they want to grow, or they may have ideas about what they want to grow or where they want to farm that are based on experience that’s too limited to make good long-term decisions. For a lot of aspiring farmers I think there’s a lot to be gained from beginning with less focused/more varied on-farm experiences before narrowing in as Tom recommends. Related to that idea, I think it’s also good for aspiring farmers to get some exposure to the kind of farm models that often don’t hire any help. I’d guess that most farms in the local farm movement don’t have any hired help, and many of the farms that do have help don’t have full-time help (or if they do have hired help, it may be long-term help, such that they don’t have new positions to fill every year), so overlooking those farms would be to overlook a huge group of farming options. And those options would tend to represent different kinds of farms. Of the farms in the local food movement that hire help every year, there’s probably a disproportionate number of highly vegetable-centric farms, whereas more diverse farms and/or farms with homesteading/self-sufficiency goals are probably less likely to employ full-time help. Farms with a focus on animals or perennial crops might be more likely to hire more permanent help if they hire any help at all. Even if these other sorts of farms don’t have full-time positions one can consider, they might still be open to someone tagging along or volunteering one day each week, or even to 1 week or 1 month farm stays where aspiring farmers could get a feel not just for the work but for the food and the whole lifestyle of that farming model. I think these other sorts of experiences can be very valuable as well. Thanks for your response to my column on farm work. Gaining farm experience is an important topic. I agree that a variety of pathways exist for exploring the possibility of farming or homesteading as a way of life. It took us about seven years to move from concept to reality. Over each of those years and really every year since then, the mental image of our “dream farm” shifted based on new information. Early on our farm size, location, crop mix, off farm employment plans, etc. changed often. Thirty years after our first crop, the changes are more subtle but the dream continues to evolve. I agree that many prospective farmers may not know which location they prefer. We looked across the US for a spot with a longer growing season than the eleven days that our former hometown offered. WNC was our choice and hopefully it will be for many of our readers. While it may be hard to tell from farm names, types of farms listed below which need farm workers is fairly diverse. Many grow vegetables but some focus on animal products. In addition some grow fruit, mushrooms, herbs, flowers, or ornamentals. An increasing number have agritourism offerings. Marketing avenues vary – wholesale, retail, CSA, value added, or all of these approaches. Picking which farms to approach may seem daunting but website descriptions might be a good place to start. -ASAP Classified Ads http://fromhere.org/classifieds/browse-categories/16/jobs-internships/ often include work opportunities. -The OGS Spring and Fall Conferences https://organicgrowersschool.org/annual-spring-conference/ are attended by organic growers at a variety of scales including homesteaders. Lunch or break conversations are likely to lead to volunteer opportunities. Larger farms may not have time in the main season to train and manage volunteers but off seasons may present opportunities when there is less pressure to get crops to market but lots of work remains to be done. Thanks again for your comments. I hope you have a productive season.